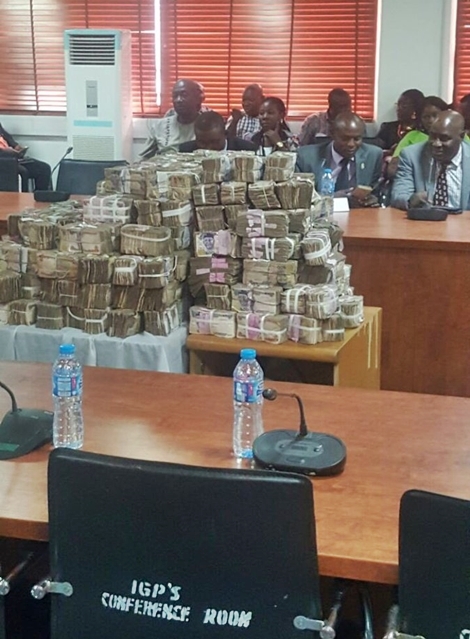 A shocking set of photos which have just emerged online and making rounds on social media, shows stacks of bundles of Naira notes displayed after it was recovered from corrupt INEC officials. 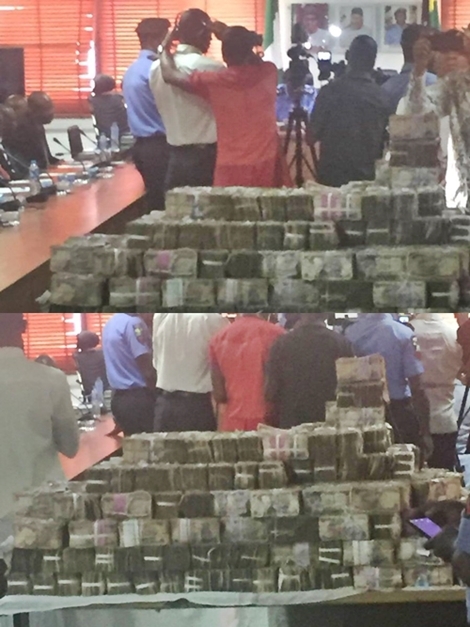 According to SaharaReporters who shared the eye-popping photos on Twitter, the Nigerian Police Force's Inspector General's investigative committee have recovered stacks of bundles of Naira notes from Independent National Electoral Commission (INEC) officials who were allegedly bribed by Governor Nyesom Wike during the Rivers State rerun elections. 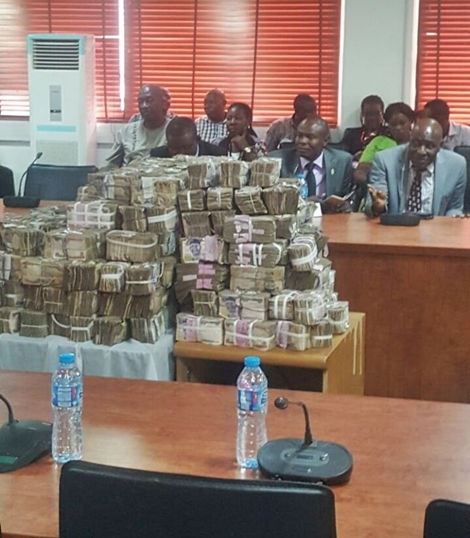 According to Sahara Reporters, the investigative committee of the Nigeria police on Tuesday, February 7, said the recovered money was given to the INEC officials as bribe by the Rivers state government. The chairman of the Police panel, DCP Damian Okoro allegedly disclosed that: "The sum total of N111.3 million was recovered from 23 electoral officials out of N360m." Okoro said that some officials got N15 million each while three senior electoral officers got N20 million each. Recall that the Nigerian police Special Investigation Panel arrested 26 INEC officials who served in the December 2016 Rivers state National/State Legislative re-run elections. Meanwhile, a Federal High Court sitting in Abuja on Monday, January 30, refused an application by the Rivers state governor Nyesom Wike to stop the probe of election violence in the state. The governor had earlier prayed the court to grant an ex-parte motion for an interim injunction on a proposed probe by the Nigerian police.